Of the Oscar nominees for Best Picture, I preferred the aching beauty of Moonlight and the bleak intensity of Hell or High Water to the arduous story of a grieving family in Kenneth Lonergan’s Manchester By the Sea. But its score, which I’d argue adds more emotional weight to the film than any of its many lauded performances, has become a crucial part of my life—an elegant white noise that provides not just a barrier from distractions, but a hypnotic soundtrack to focused thought. I listen to it almost every day, while working in the office, or reading on the train home. Unfortunately, you won’t hear Lesley Barber’s name mentioned during Sunday night’s Oscars. 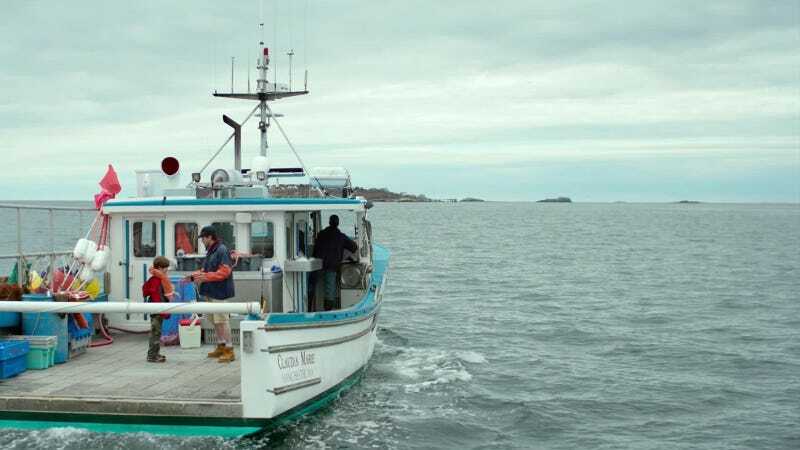 Her score to Manchester By the Sea—easily the best of the year—was deemed ineligible for an Oscar by the Academy of Motion Picture Arts and Sciences due to the inclusion of pre-existing music in certain scenes. “The film’s soundtrack,” wrote Variety at the time, “features a number of classical compositions throughout.” But I’d argue that it’s entirely obvious when Barber’s pulsing, mournful strings and mesmerizing multi-track chorales (performed entirely by her daughter) make way for the handful of those “classical compositions” (which include two pieces from Handel’s Messiah and Remo Giazotto’s “Adagio in G Minor”) that kept the Academy from including her. In short, Barber’s work is obviously new, and the other stuff is obviously old. Though she wasn’t alone in being shut out by the Academy, her disqualification feels a little less justified than, say, Johann Johannsson’s eerie Arrival score, which was was nixed after “the Academy’s music branch ruled unanimously that voters would be influenced by the use of borrowed material.” The piece that bookends the film and immediately provides a sturdy musical backbone to its narrative is an elegiac string composition by Max Richter from 2004. It sounds like piece of film music because Richter himself is a prolific film composer (who has, by the way, done plenty of work for science fiction films). The work is easily confused with Johansson’s. It’s also the most memorable music from the film. “People have an image of what that person in that role looks like,” Barber told me when I brought up the dominance of men in this field. “And I think directors and cinematographers have faced the same unconscious bias.” She went on to explain that, like most jobs in the film industry, you get more work if you’ve done more films, which then becomes a “chicken and the egg” situation. But she has noticed that things have slowly begun changing for the better. “There is something unique” about composing for film, she told me. And there’s something truly special about Barber’s music. You can listen to her score for Manchester By the Sea below.